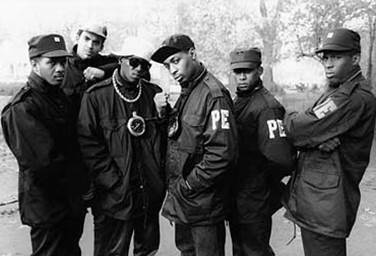 I was listening to Public Enemy’s ‘Harder than you think’ recently, and it took me straight back to the summer of 2012. ‘Harder than you think’ was the iconic song used by Channel 4 for its ‘Meet the Superhumans’ campaign for the Paralympics. Now, that was a truly outstanding bit of marketing. Yes, they had huge budgets and yes, they had blanket TV coverage, the like of which we in local government can only dream of. But fundamentally, some bright spark had the creative vision to identify the people taking part in the Paralympics as super-human, rather than defined by their disability, and to use a song with the line ‘Thank you for letting us be ourselves’. The campaign was hugely successful. The Paralympics was sold out, viewing figures were at a record high, and in a survey after the campaign 83% of viewers said they thought society’s perception of people with a disability had improved, and 64% felt more positive towards disabled people. The campaign truly made a difference. Bright spark, you can retire in the warm afterglow of a job well done. You will probably never do anything that brilliant again in your career, and if you do then it’s just showing off. The Lung Cancer Alliance’s ‘Deserves to Die’ campaign was another that made a fundamental change to public perception. The US charity ran a controversial campaign stating that a range of people – hipsters, cat lovers, the smug – deserved to die if they had lung cancer. Campaign teasers were made live in a range of American cities, and caused such a buzz that the campaign launch was brought forward. The campaign was lobbying around a provision in the Affordable Care Act and the Lung Cancer Mortality Reduction Act, and affected votes in Congress. Stereotypes were challenged, perceptions were changed. Another result for creativity. These two campaigns used creative inspiration to make a fundamental difference to people’s lives and public attitudes. They are an example of the best that we, as communications professionals, can be. Which makes it all the more frustrating to see something creatively brilliant which could, and should, have made a difference but didn’t. ‘We miss you’ is a film made by German art students about people’s disconnection with nature (spoiler alert: if you want to watch the two minute film, do it now before you read on. I’m going to ruin it). It depicts a traffic jam on a New York street, with a policeman making his way through the line of traffic to see what is causing the delay. The tension builds, and it feels like a gun battle is in the air. Then we see the cause of the problem: a deer. It is standing calmly in the road, and as the policeman approaches the deer whispers to him ‘We miss you’ before being hit by a taxi. Written down in black and white it sounds absurd. But on screen, it is hugely affecting. You may well have seen it – the film has been around for a couple of years and has been viral for much of that time. The film left me with a huge urge to do something positive. How could I help? What could I do to get more involved? Who could I support? But there was nothing to guide me. No link to an environmental charity. No information. No call to action. To be fair to the art students who made the film, it was never intended to be anything other than a piece of art. But what a missed opportunity. The film has reached tens of thousands, and a percentage of them would have been inspired to take action, but they couldn’t because they weren’t supported to do so. The film is referred to across the internet as a campaign, but it isn’t. What a shame. It could have truly made a difference. So what can we learn? Perhaps to educate art students in being more switched on to marketing? Probably not: that runs the risk of warping their creativity at an early age and probably misses the point of what they do. But there might be a case for comms professionals to forge links with the creative departments of their local universities and colleges so that we can spot ideas that can be worked up in partnership. Perhaps we should befriend tutors to the benefit of all: this isn’t about exploiting students but about applying their work for public good. It might be a nice idea, but which over-stretched local government communications person has got time for that? Probably few of us. But do you know what? We should make time. It could work out to be a great example of one of those positive partnerships that local gov is so keen on. After all, which of us wouldn’t like to retire in the warm afterglow of a ‘Meet the superhumans’ style campaign?